The current challenge for the aquaculture sector is the availability of land and fresh water issue. In aquaculture industry, farmers would need to create their pond shallow, so the oxygen could penetrate into the bottom of the pond. With this characteristic, it’s really hard for them to multiply their productions or to invest in one since it requires large area of land. Thus, business and small ﬁsh farmers need an advanced but affordable technology to increase their ﬁsh production. 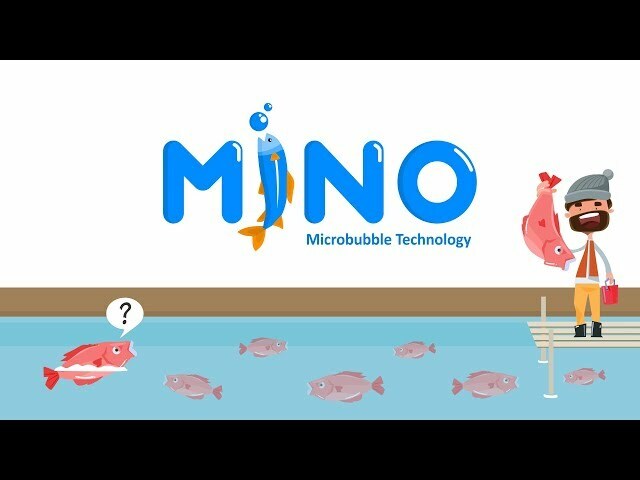 Based on that problem, Advanced Water Treatment: MINO Microbubble Technology was developed. This technology consists of two main components; water pump and microbubble generator unit at the discharge section. This technology is an implementation of multiphase ﬂow by varying the quantity of air and water debit to generate micro‐diameter of bubbles with size 40 µm. This micro‐diameter size could increase the number of Dissolved Oxygen in the water that is really important for ﬁsh growth. We conducted field test that showed us promising results for Microbubble Technology in catalyzing the production of tilapia industry. Based on the lab result, the microbubble able to increase the amount of dissolved oxygen in the water up to 7ppm, this condition makes the fish more active, thus they will have better metabolism and will eat more, in the end they could weigh heavier up to 40% compared to the ones that didn’t grow in Microbubble induced environment and with this weight difference we believe we could shorten the harvesting period of the average tilapia farmer from twice in a year become three times in a year. We designed this technology so it could be relatively low cost and affordable. Without the water pump included, the whole system will approximately costs around 2 – 3 million rupiah. The total costs will be subjected to the which kind of the power pump used, and with this price we could predict that the tilapia farmer would get payback period right after their first farming period and will be able to double their profit up to 36% in 2 years. We believe this system would not only able to increase the welfare of ﬁsh farmers, but also will open more job opportunities in other sectors. Especially in manufacturing and service sector, since we would like to engage with third parties that could manufacture the microbubble unit and many local integrators to ease the distributions of this system. With this business model we’d like to see more local business grow and participate in this industry. Finally, we hope this technology would be able to help in realizing a betterment of Indonesia aquaculture industry , able to contribute in strengthening Indonesian national food security and to help attaining the goal of 15 million ton of ASEAN farmed ﬁsh by 2030. Thus, we could reach the UN Sustainable Development goal by 2030 to end hunger and achieve food security; all these objectives shall be done in environmentally concerned manners.